The government has instead quickly engaged what they always referred to as 'option two'- a joint military offensive on the LRA by regional governments including Uganda, Southern Sudan and the DRC. The government of Uganda threw caution to the wind on Sunday and attacked bases of the Lords Resistance Army in Garamba forest of the Democratic Republic of Congo in an effort to deal a final blow to the LRA rebels. While some sections of the country have criticized the government for the military action against the rebels who are engaged in a peace process with the government, the army has defended the attack of rebel bases as an unavoidable step in bringing the LRA that has fought President Museveni's government sine 1986 to end fighting. President Museveni's government has been at war and trying peace talks with the LRA for more than two decades to end a war that displaced million of people in northern Uganda into displaced people's camps; and saw many people killed, maimed and abducted into armed rebellion by the LRA. The latest peace efforts led by the Southern Sudan government begun in 2006 and seemed almost successful after the two sides agreed on all the five points of the peace talks agenda and a draft comprehensive peace agreement. The LRA leader, Joseph Kony was supposed to sign the government on 10th April 2008 but he failed to turn up. The LRA leader on another two occasions kept mediators, diplomats as well as religious and cultural leaders waiting for him to turn up and sign the peace agreement in vain. The latest which had been dubbed the "last chance" was November 29th, but the elusive LRA leader did not turn up still. 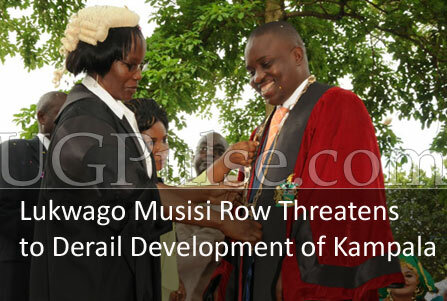 Kony instead ordered his chief mediator, David Nyekorach Matsanga to make fresh demands of face to face talks with President Museveni as well as mandatory lifting of the indictments by the International Criminal Court against top LRA leaders. While the government side insisted that the LRA sign the agreement before the government approaches the ICC to rescind the warrants, the LRA have insisted that the indictments be lifted before the LRA leader can sign the comprehensive peace agreement. Although Museveni last week assured the chief Mediator, Southern Sudan Vice President Dr. Reik Machar and LRA spokesman Matsanaga who met him in Kampala that he would personally discuss with Kony, the government has instead quickly engaged what they always referred to as "option two"- a joint military offensive on the LRA by regional governments including Uganda, Southern Sudan and the DRC. Although the LRA is fighting to remove the government of Uganda, he has been active in Sudan and DRC, being accused of killing, looting and abducting in both countries. The rebels are even reported to be active in the Central African Republic, which has made them a big threat to regional peace and stability. Uganda Army spokesman, Maj. Paddy Akunda says the joint attacks against LRA bases took place "successfully" although he did not elaborate with details. 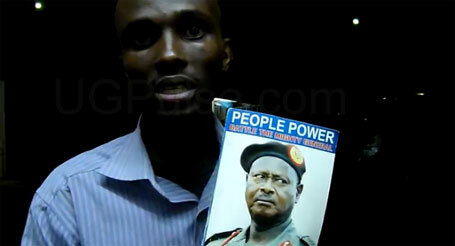 There are rumours doing rounds in Kampala that LRA leader Joseph Kony might have been killed in the raids. Maj. Ankunda says the military attacks against LRA bases in DRC and Southern Sudan will continue under the joint military offensive by Uganda, DRC and Southern Sudan armies. Matsanga says in an interview that he is yet to confirm from Kony or the LRA high command whether the military attacks took place and the extent and damage by the military attacks. He says the LRA are displeased by the return to war when they are negotiating for a peaceful end to the war. Maj. Ankunda says all three countries have agreed and are willing to go on with the joint military operation against the LRA, a group he says has not only failed to sign the peace agreement agreed on more than a year ago, but also has continued to arm, kill and abduct people, including women and children. But Matsanga says the Southern Sudan Vice President Machar assured him yesterday that Sudan was not part of the military action as they were still pursuing a peaceful end to the conflict. This might lend credence to sources who say that the attacks were carried out by the Uganda army which only had the permission and cooperation of Sudan and the DRC. Matsanga says although the LRA leaders have failed on different occasions to sign the peace agreement, there is need for more time for peace process. The Lords Resistance Army rebels on Monday strongly protested to the UN and Southern Sudan government about the military attacks. Matsanga says the attacks on the LRA are unfortunate and a bad precedent that might lead to the collapse of the peace process that was nearing "a positive end". He says the LRA has protested the reported attacks to the UN Representative to the Juba Peace process, Joachim Chissano and the Chief Mediator, Southern Sudan Vice President, Dr. Reik Machar. Meanwhile, the State Minister for Defense, Ruth Nankabirwa has defended the military attack saying that in addition to failing to sign the peace agreement, the LRA had abandoned the agreed on assembly points in Ri-Kwangaba and Owinyi Kibul. A tough talking Nankabirwa said the governments in the region were also concerned that the LRA is continuing to arm and abduct people into rebellion. Nankabirwa says after waiting for Kony to sign peace deal in vain, the three governments could not watch on as the LRA continued to abuse the 29months ceasefire signed under the Juba peace process. She says Kony and his men were warned on several occasions of an impending attack if they did not sign the peace agreement. But leaders from northern Uganda today criticized the government for the military offensive. Chua County MP, Livingstone Okello Okello says the military onslaught on the LRA will only kill women and children who were abducted by the LRA and cause more suffering to people in Uganda as war resumes. Gulu LC5 Chairman, Nobert Mao in an interview today criticized the government for the military attack, saying it was a betrayal of the peace talks. He says the major concern is that the government which for 20 years failed to militarily end the war has not given any assurance that they will defeat the LRA militarily this time round. "People have stared leaving the camps going back to their villages because of the current peace efforts. Resuming military attacks means that people will once again be brought back to the camps since there is no guarantee that the government can defend the population against the LRA rebels," Mao says. The leading opposition party, Forum for Democratic Change also castigated government over sending the Uganda People's Defense Forces to attack the LRA. FDC spokesman, Wafula Oguttu says that it was wrong for the government to send out the UPDF to attack the rebels outside Uganda without approval from Parliament. Oguttu says that President Museveni has failed as a leader to respect the Uganda Constitution, which is one of the important tools for democracy in a country. Oguttu says government needs to continue pursuing peaceful means through the ongoing peace talks. But former Presidential candidate Agrey Awori supported the military onslaught on the rebels, saying the government is right to engage military means to defeat Kony since the LRA leader has not shown seriousness in signing the peace agreement. He however says the three governments of Uganda, DRC and Southern Sudan should ensure Kony's LRA are defeated once and for all. That seems top be the issue for both sides who support and oppose military means. Few people if any believe that the LRA will sign and honour a peace agreement, just as few people believe the Uganda army will militarily deal a decisive blow to the LRA and bring about lasting peace in Uganda.